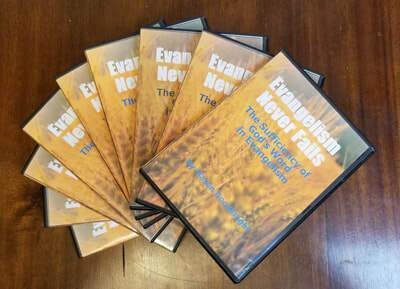 Thank you so much for visiting this page and taking the time to watch and possibly share this video. 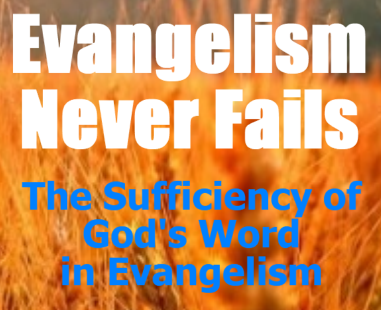 I pray that it glorifies God, equips and encourages you as one of His precious Saints! God bless you and thanks again! If you have questions and would like to contact us at CORE you can either text/call Mason directly at 541-580-8202. 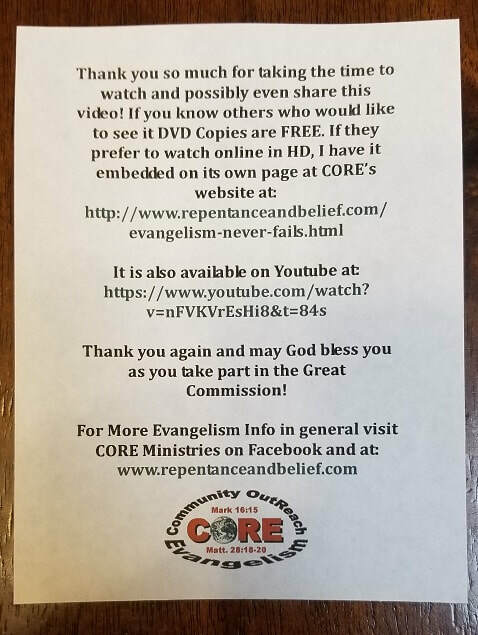 Or you can go to the first page on this website called, "Welcome To CORE Ministries!" and fill out the contact information form and we'll get back to you soon. 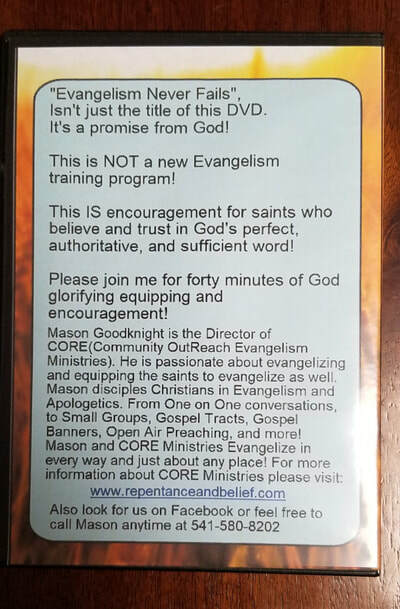 ​This Teaching on DVD and Scan Cards FREE for the asking! 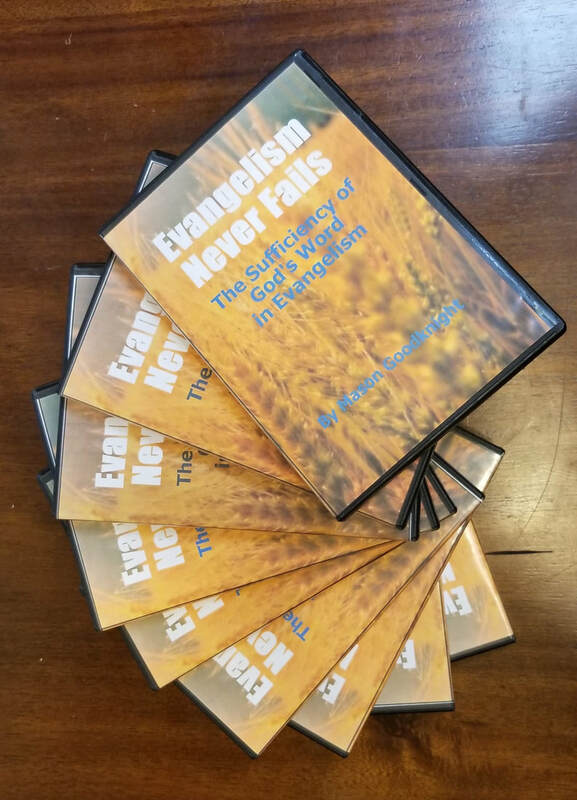 If you'd like a copy of this in DVD format for your church or for personal use please let me know. Unless you ask for more or less, each DVD will also contain 10 free scan cards. That way folks can type in the address or scan the code and watch the presentation on this page in HD. All of this is free to you! 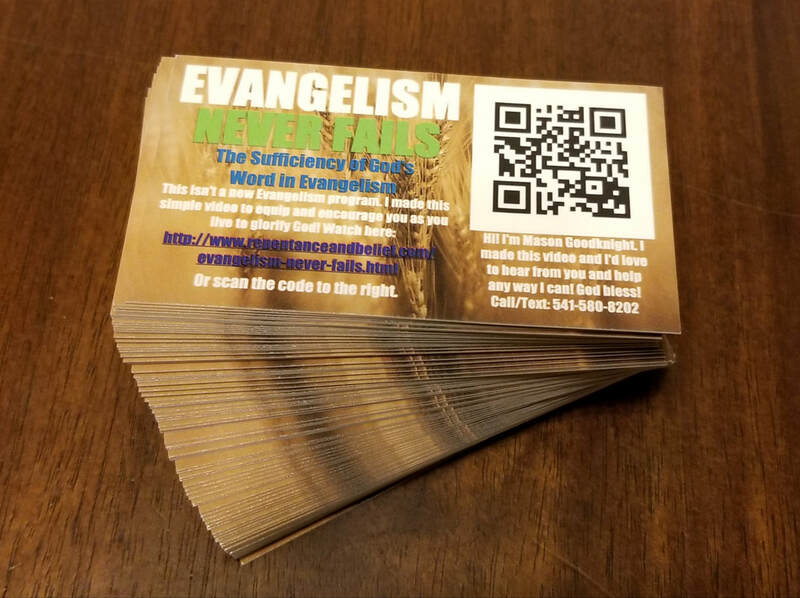 If you'd like more evangelism training and other helpful resources, please visit the "FREE Downloads" page on this website. 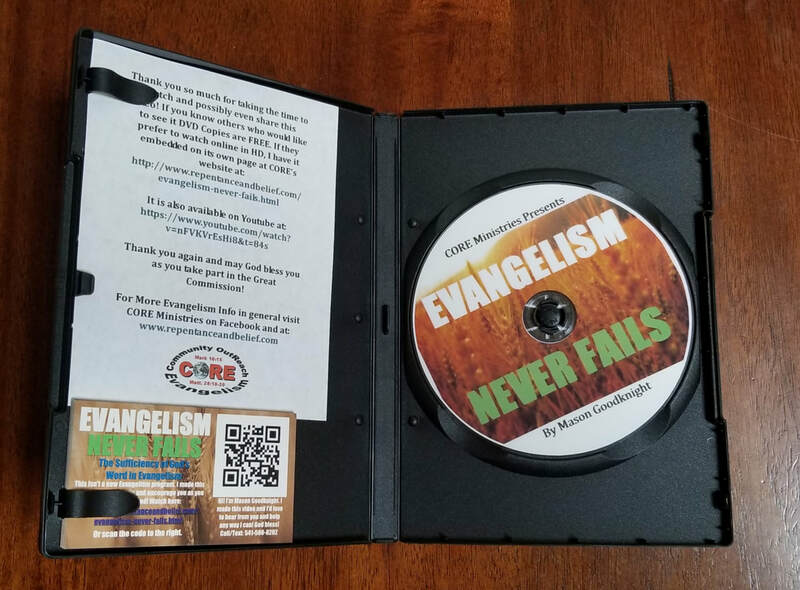 We are also able to offer Evangelism and Apologetics training courses locally and abroad whether in person or through streaming, etc. Just let us know your need and we'll try to help!